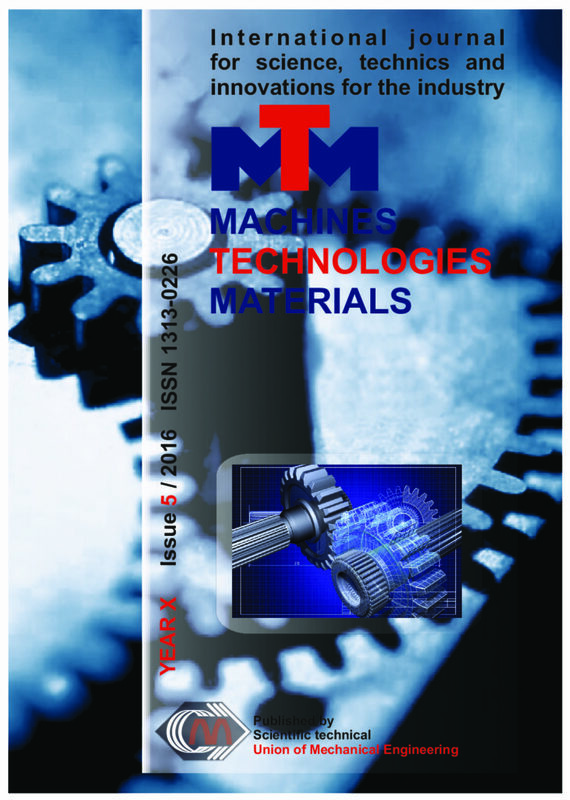 The texture evolution in pipeline steel is studied as a function of the thermo-mechanical processing parameters –rolling tem- perature and cooling rate after the finish rolling stage carried out with equal rolling reduction per pass.. The austenite recrystallization and grain growth during thermo-mechanical control processing (TMCP) of a pipeline steel grade are described and analysed in terms of precipi- tation state progress. Two stage controlled rolling (roughing and finishing) was carried out on a laboratory rolling mill for a set of complet- ed and interrupted schedules. Subsequent to rolling, two different cooling routes were used water quenching and accelerated water cooling (ACC) together with coiling simulation. From the combination of transmission electron microscopy (TEM) observations, detailed texture analysis and inductively coupled plasma-mass spectroscopy (ICPMS) precipitates quantification, consistent correlations between precipita- tion state and microstructure at every stage of TMCP can be recognized. The formation of specific transformation textures was explained via appropriate texture models that describe both formation of transformation and recrystallization textures in the austenite. Nickel ferrites having different stoichiometry supported on activated carbon (Ni0.25Fe2.75O4-AC, Ni0.5Fe2.5O4-AC, NiFe2O4-AC) were prepared by co-precipitation using nitrate precursors and activated carbon from peach stones and calcination procedure in nitrogen atmosphere. The physicochemical properties of these materials were studied by powder X-ray diffraction analysis (PXRD) and Mössbauer spectroscopy. The presence of spinel ferrite and additional hematite phases was established by PXRD. The photocatalytic properties of the so synthesized nickel ferrite-AC materials were tested and compared in oxidative degradation of Malachite Green (MG) and Reactive Black 5 (RB5) dyes under UV-light irradiation. The photocatalytic tests show that investigated samples lead to much higher degree of degradation of MG (86%-92%) compared with that of RB5 (17%-35%) due to their structure. The results proved that nickel ferrite-AC materials are more efficient photocatalysts for removal of MG as model contaminant from aqueous solution under UV light than RB5. This paper presents performances of two different types of PV cells under various temperature clime of Stip, R. Macedonia. Stip with geographical position 41 .742N, 22.1 94E has 2260 sun hours yearly with average temperature 25 °C during spring. The types of cells examined in this study are: crystalline silicone (c-Si) and polycrystalline silicon (p-Si). The calculations are made for various operating conditions and a comparation of I-V and P-V characteristics are represented here. Also, the efficiency and fill factor for photovoltaic (PV) cells is calculated based on simulation results. We investigate the three dimensional stagnation-point flow of an electrically conducting incompressible viscous fluid towards a moving vertical permeable plate in the presence of a transverse uniform magnetic field. The partial differential equations governing flow and heat transfer are reduced to a set of nonlinear ordinary differential equations by using the appropriate transformations. The MATLAB routine BVP4c is successfully applied to solve these nonlinear ordinary differential equations. The results are compared with those known from the literature and an excellent agreement is found. The effects of the suction/injection parameter on the velocity components, wall shear stress, temperature and heat transfer are discussed through the graphs and tables. High-frequency electric resistance welding is one of the most common process for production of longitudinal seam welded carbon steel pipes suitable for line pipe, casing and tubing. In this pipe production process, the hot rolled strip goes into the forming mill where it is gradually cold formed into a tubular shape in several stages of forming rolls and its edges are continuously joined by a combination of localized electrical resistance heating and forge pressure. High frequency electric resistance welding generally involves high temperature, forge pressure and subsequent cooling, and as the result of this thermal cycle occurs significant microstructural changes. These microstructural changes provides a wealth of information on weld seam quality and edge preparation of hot rolled strips. In this paper, microstructural changes in the forge weld area during high frequency electric resistance welding (HFERW) of longitudinal seam welded pipes Ø114.3×5.21mm were investigated. The aim of this study was to determine some of the physical and mechanical properties of Turkish hazelnut (CoryluscolurnaL.) wood.Hazelnut is an endemic species in Turkey and the trees used for the study were taken from the Pınarbaşı District of KastamonuProvince. As a resultof experiments carried out to evaluate the physical properties, it was found that the values of dry and air dry density were 0.636 gr/cm3 and 0.672 gr/cm3 , radial, tangential and longitudinal swelling values were 4.60%, 7.48% and 0.41%, radial, tangential and longitudinal shrinkage values were 5.11%, 8.49% and 0.59%, respectively. According to the related standards, the mechanical properties ofbending strength (98.5 N/mm2), modulus of elasticity in bending (8273.4 N/mm2), compressive strength parallel to the grain (50.09 N/mm2 ), dynamic bending strength (impact strength)(0.71 kN/cm), tensile strength perpendicular to the grain (5.09 N/mm2 ), and hardness values of cross, radial and transverse sections (72.55 N/mm2 , 47.32 N/mm2 , 46.13 N/mm2, respectively) were also determined. Test rigs for model hydraulic turbines are used to perform various standardized tests on model turbines by simulating characteristics of the running water, at which the actual turbine will work. Test cell is a frame structure that is placed between the high head and the low head reservoirs of a test rig. It accommodates a generator-bearing assembly and the model turbines to be tested. Since model turbines are custom made systems, the frame structure is required to be designed according to the highest possible loading condition, within the capacity of the test rig, to ensure structural integrity while also considering the ease of assembly. A custom hydrostatic bearing for generator is required to support the potentially harmful axial and radial forces, and bending moments produced by the turbine. In this study, design of a test cell for a hydraulic model turbine test rig is presented. Inline pipe Francis turbine design is proposed. Spiral case is not used in inline pipe Francis turbines and the flow can enter the stay vanes directly. The flow rate can be distributed uniformly around stay vanes. Another advantage of the new design is that the static pressure drop of the flow is less than that of conventional Francis turbines, which minimize the losses. Working range of the turbine is increased in the new design, as well. This paper presents an approach for software development that generates control programs in the field of reconfigurable manufacturing systems. The proposed approach proposes the use of developed domain ontologies merged in a meta ontology which is based on the standard for integrated production systems and management IEC / ISO 62264. The article addresses the main graphic elements of the software that are being developed as well the principle of generating control programs. This paper presents the developed domain ontology of the equipment in manufacturing systems in order to be used in the field of reconfigurable manufacturing systems (RMS). The ontology meets the requirements of the meta-class "Equipment", which is part of the developed meta ontology based on the standard for integrated systems for the production and management IEC / ISO 62264. The article explains various properties and class restrictions of the developed ontology. Web Ontology Language (OWL 2) and Protégé 4.3 as an editor and knowledge acquisition tool are used. Special attention is given to the use of ontology reasoning to infer additional information from the facts stated explicitly in ontology – an important feature, used to perform classification, sorting and assembly operations and consistency checking.